How to safely maneuver your car to the side of the road after popping a tire. 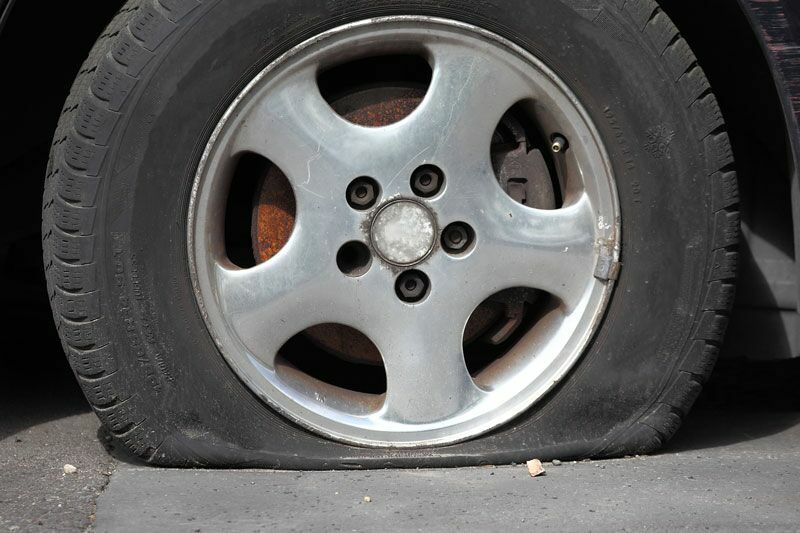 Blowing a tire while you are on the highway or freeway can become a very dangerous situation if handled incorrectly. Should this ever happen to you, it’s important to stay calm and take the following steps. Anytime you drive, you should maintain a firm grip on the steering wheel. However, if you feel yourself blow a tire, you should tighten your grip. This is because a blown tire can cause your car to swerve. If you are not ready for this sudden jerking motion, your car could careen out of your control. When you blow a tire, your immediate reaction might be to slam on your brakes. However, if you do this, your remaining tires might lose traction on the road, causing your car to skid out of control. Rather than using your brakes, gradually reduce your speed by removing your foot from the gas pedal. As you slow down, maneuver your car toward the side of the road. Once your car slows to about 20 miles per hour, you are safe to apply your brakes. At this point, pull off the road and slowly apply your brakes until you come to a complete stop. Before you exit your car, shift into park and make sure you apply your parking brake. Finally, turn on your hazard lights to warn other drivers to slow down and exercise caution as they pass by. Finally, you can replace or repair your damaged tire. If you do not feel safe or do not know how to do so, then contact roadside assistance for help. This is what you should do if you blow a tire while driving on the freeway. Do you want another way to stay safe behind the wheel? Make sure you have the proper auto insurance protections in place. For assistance with your car coverage, contact the team at The Schwab Agency in Colleyville, Texas today.